Ahh, my good ol’ Microsoft Wireless Laser Keyboard 6000 v2.0. I settled upon this keyboard many years ago, and have used it both at work and at home ever since. One of the handiest features is the conveniently-placed calculator button. It’s a simple thing, really, and isn’t exclusive to this keyboard, by any means. Tap the calculator button, wait for the calculator app to launch, move your hand down to the number keys, and start calculating. 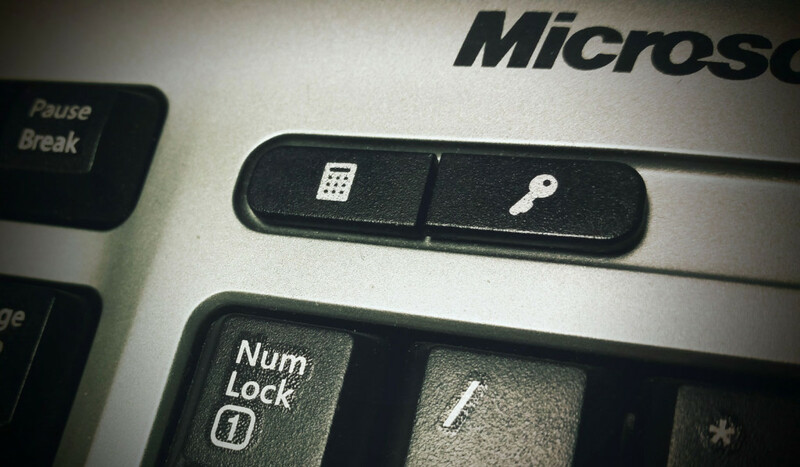 On Windows 7, the calculator key (or more appropriately, the software driving the key) was a bit hit and miss. On some computers, hitting the key would open a new calculator instance each time. By that I mean, instead of pulling into focus a calculator app that is already running, it would instead keep opening new calculator apps. On others, it would follow the preferred route and bring into focus the currently open calculator, or open the calculator application if it wasn’t already running. Well, with Windows 10, things have made a turn for the worse. Hit the calculator key and the calculator will open, but it won’t quite be in focus. It’s selected, but if you start typing, nothing will happen. You have to select the entry area with your mouse, then start typing. Frustrating, to say the least. Additionally, the key will open a new instance of the calculator each time it’s pressed. Now what? Well, the error should be pretty clear to anyone working with OLEDB or ODBC connections. Whenever you go to make a connection to a database, using a database API to do so, you need to have the appropriate drivers installed. If you have the latest version of Office (2007+) installed, then you may already have the necessary drivers. If you don’t (and you really shouldn’t on a server), then you’ll need to separately install the drivers. They can be a bit hard to track down, but here is what I’ve found.